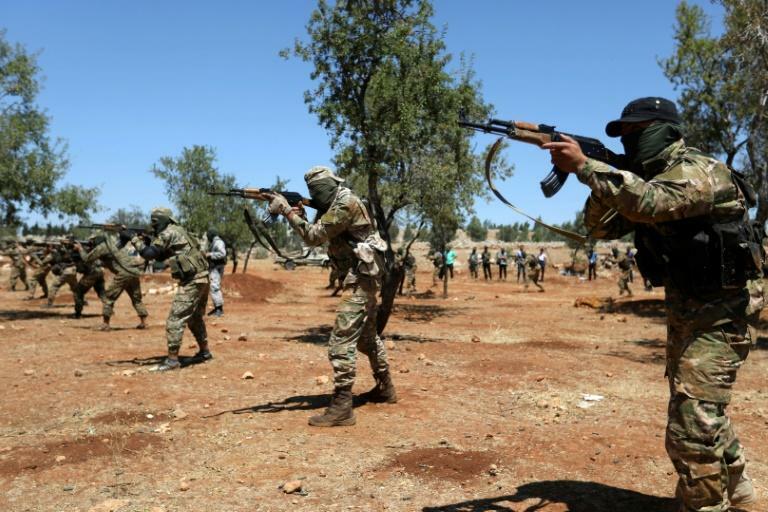 Turkey on Friday officially designated the Hayat Tahrir al-Sham (HTS) jihadist group as a "terrorist" organisation, ahead of an anticipated operation by the Syrian regime in the province of Idlib, much of which is controlled by the group. Syrian President Bashar al-Assad's forces have been massing for days around Idlib near the Turkish border and look poised to launch what could be a last major battle in the civil war that has torn Syria since 2011. Turkey, which has already listed Al-Nusra and Al-Qaeda as terror groups, updated its list of terror groups under a document published in the official gazette and included HTS on the new list. The HTS is dominated by the Fateh al-Sham faction, which was previously known as Al-Nusra Front before renouncing its ties to Al-Qaeda. HTS is currently the most powerful armed faction in Idlib. Intense negotiations have been under way for weeks between regime supporter Russia, and Turkey, which backs opposition fighting for Assad's ouster. It was not immediately clear whether Turkey's decision to update its list of terror groups to include HTS could indicate a green light from Ankara for a possible Russian-backed regime operation into Idlib. Turkey has been keeping a wary eye on the possibility of the Idlib offensive, as it seeks to bring peace to Syria along with Russia and Assad's other main ally Iran. Foreign Minister Mevlut Cavusoglu has warned Russia that seeking a military solution in Idlib would cause "catastrophe" and trigger an new influx of refugees across its borders. But analysts say Ankara could be prepared to accept a limited Russian-backed regime offensive against extremist groups, even if it leaves the question of the long-term control of the province open for now. Accepting control by Assad over Idlib could be a step too far for Turkey but analysts say it is also determined to preserve its increasingly tight alliance with Russia.